Contributing authors explore the state’s recent political history and the diverse and often highly contentious political struggles in the years since 1944 and analyze in depth the state’s legislative, executive, and judicial branches, as well as their leaders. 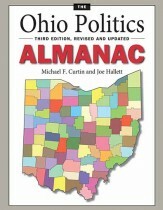 Additionally, contributors explore interest groups, elections, political parties, the news media, Ohio’s representation in Congress, and state politics in historical perspective. 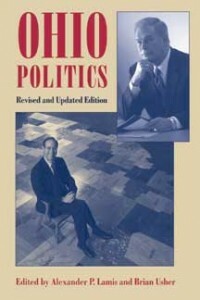 In this revised edition, Ohio Politics serves as the study of Ohio’s rich and lively political history. EditorsAlexander P. Lamis is associate professor of political science at Case Western Reserve University in Cleveland, Ohio. A specialist on elections and political parties, he is the author of Two Party South (1990) and editor of Southern Politics in the 1990s (1999). Brian Usher was a political writer and Statehouse correspondent for several Ohio newspapers and press secretary for former governor Richard Celeste. He currently operates his own public relations firm in Columbus, Ohio.